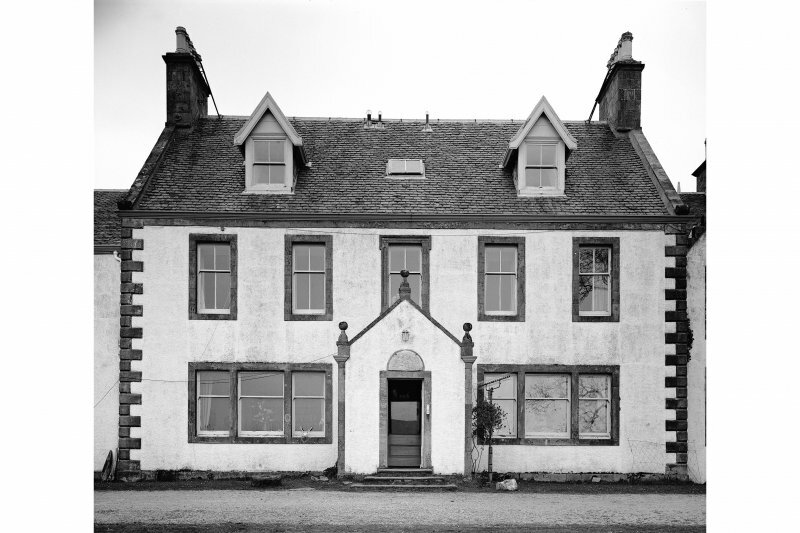 Ardpatrick House. View of main front of Victorian South wing. 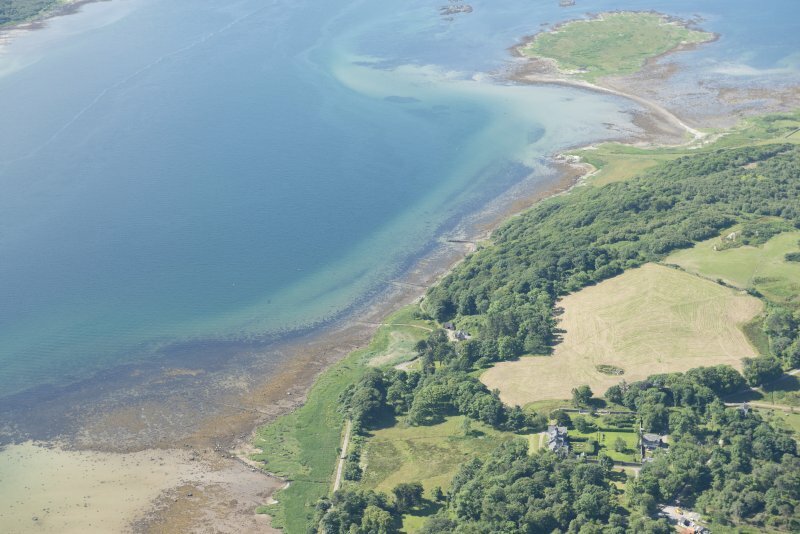 Oblique aerial view of Ardpatrick centred on the intertidal wall, looking SE. 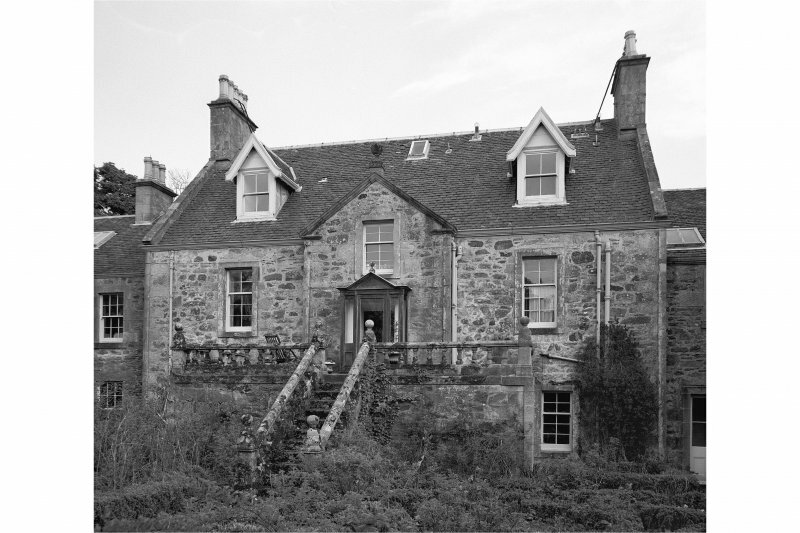 Ardpatrick House. View from South East. 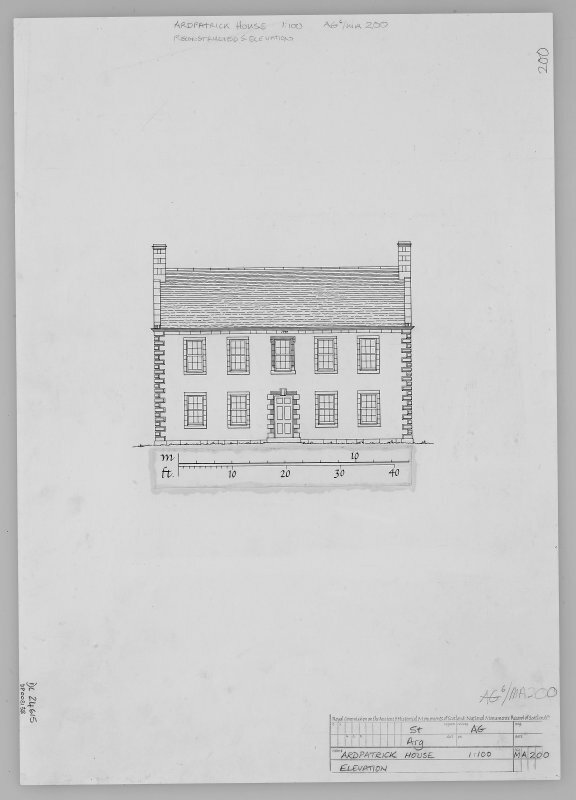 Ardpatrick House. 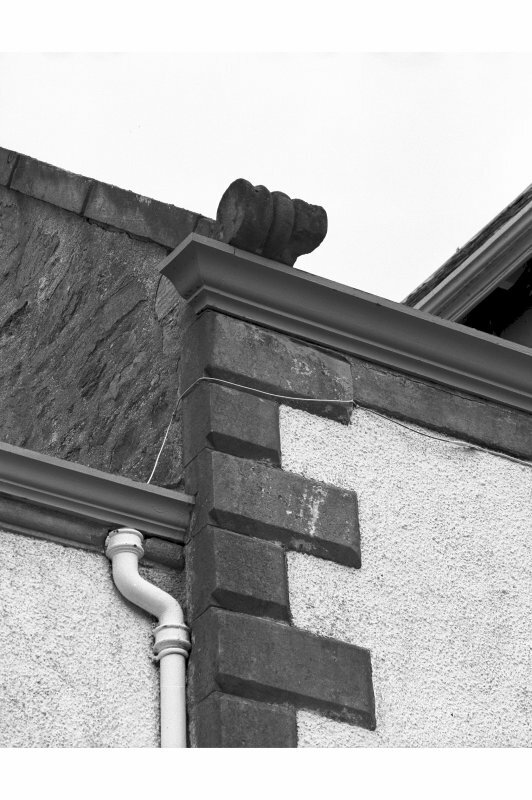 Detail of skewput on main front. 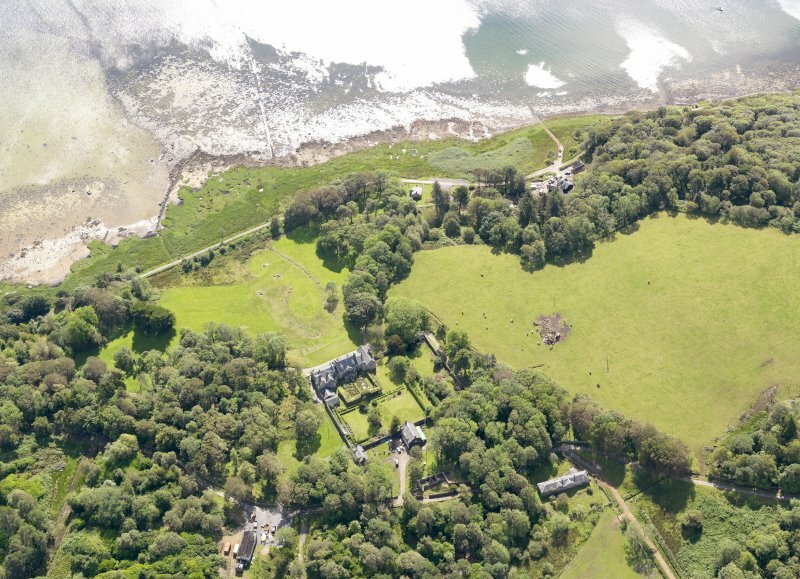 Oblique aerial view of Ardpatrick House and policies, taken from the NW. 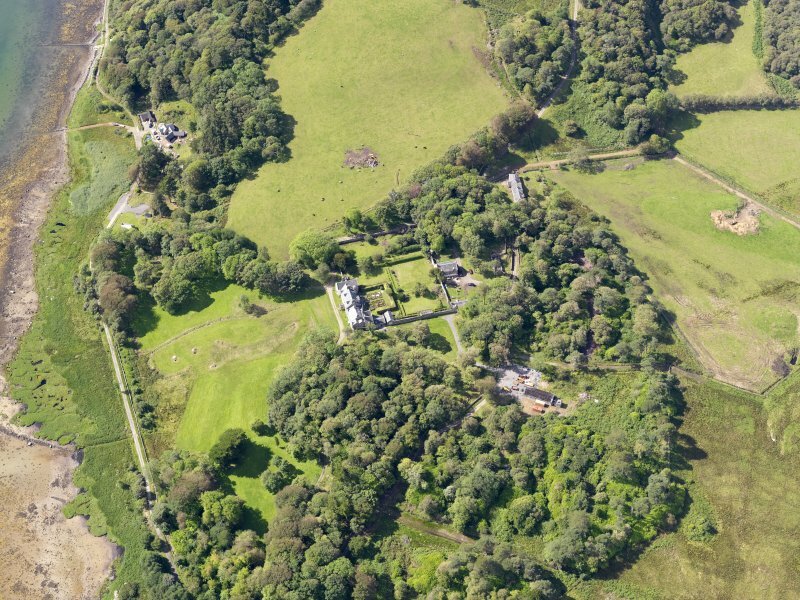 General oblique aerial view of Ardpatrick House and policies, taken from the ESE. 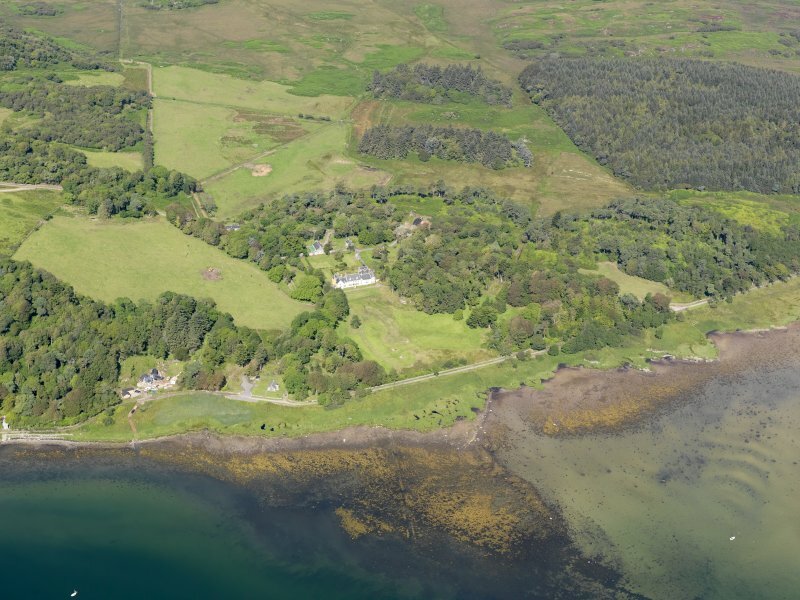 Oblique aerial view of Ardpatrick House and policies, taken from the NE. 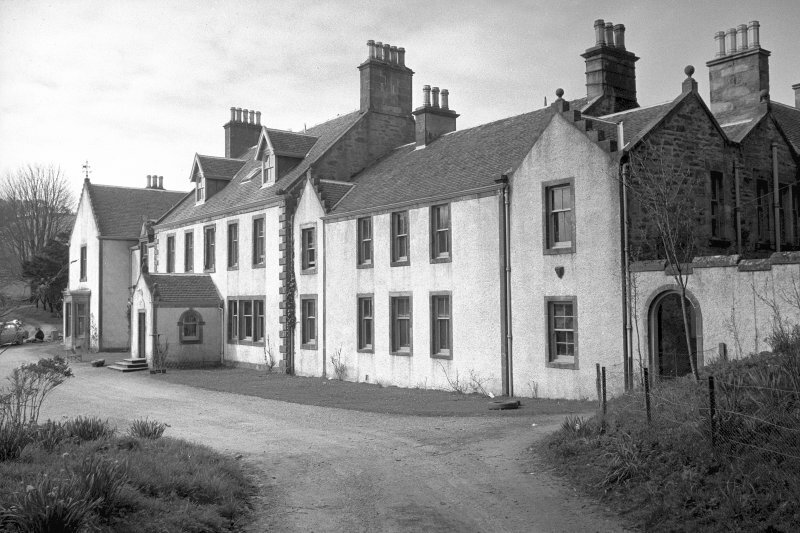 Ardpatrick House. View of central block on main front. 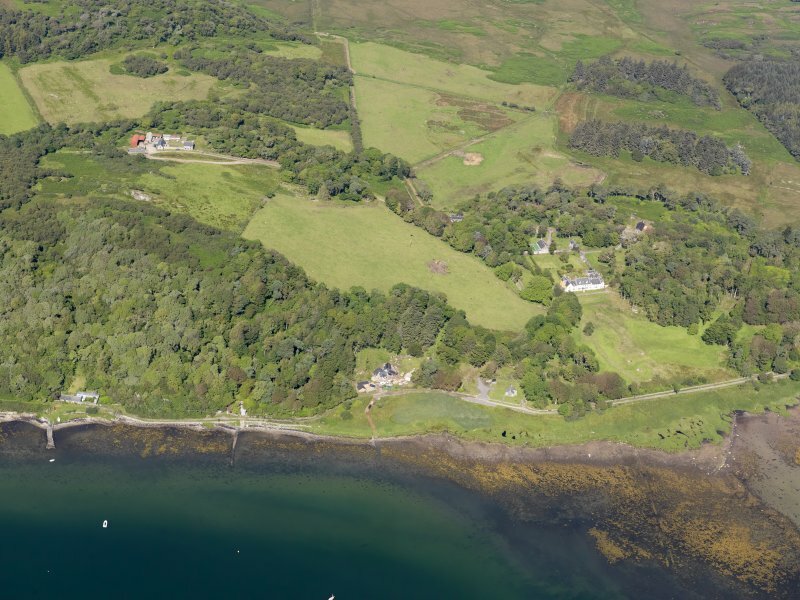 General oblique aerial view of Ardpatrick House and policies, taken from the SE. 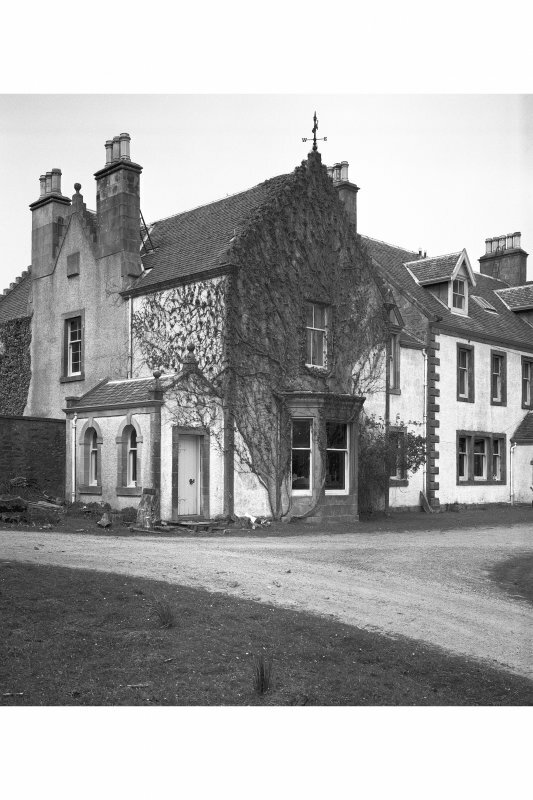 Ardpatrick House. 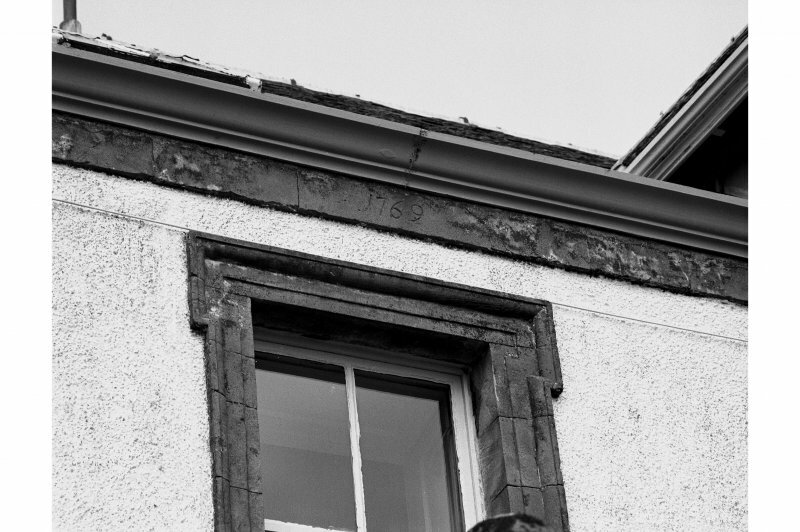 Detail of wallhead of main front, inscribed with date 1769. Ardpatrick. View of garden front. 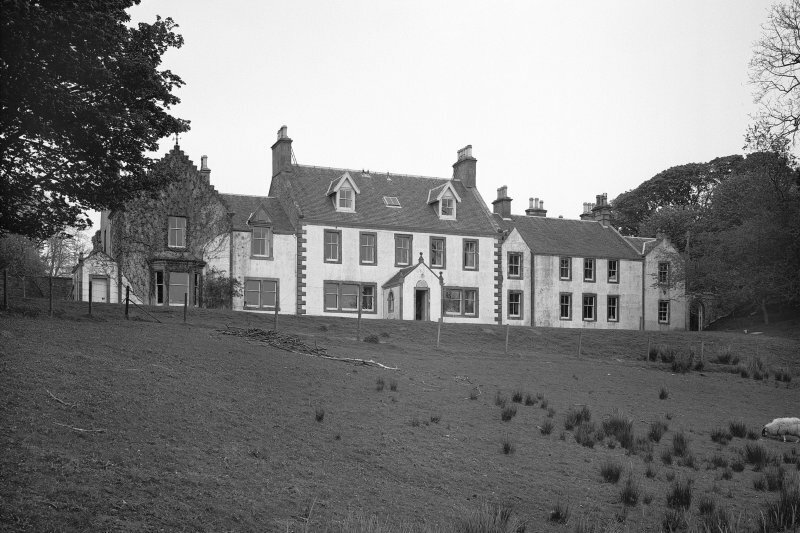 Ardpatrick House. 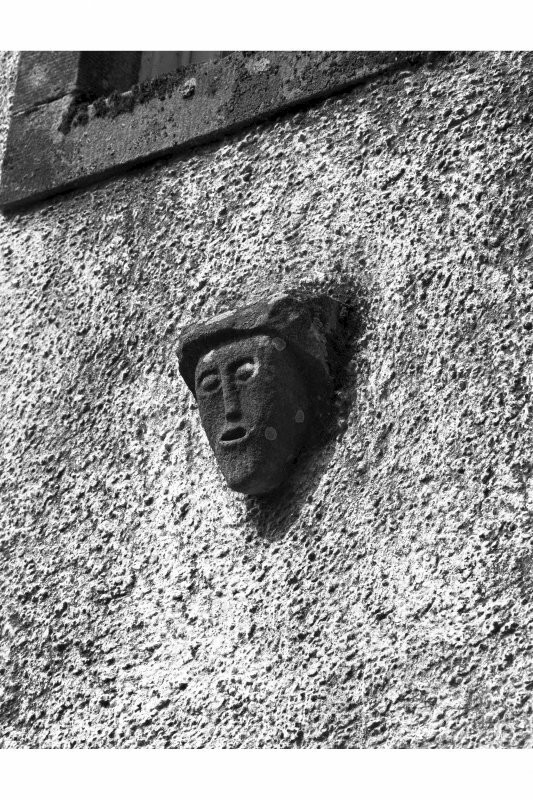 Detail of carved head on North end of main front. 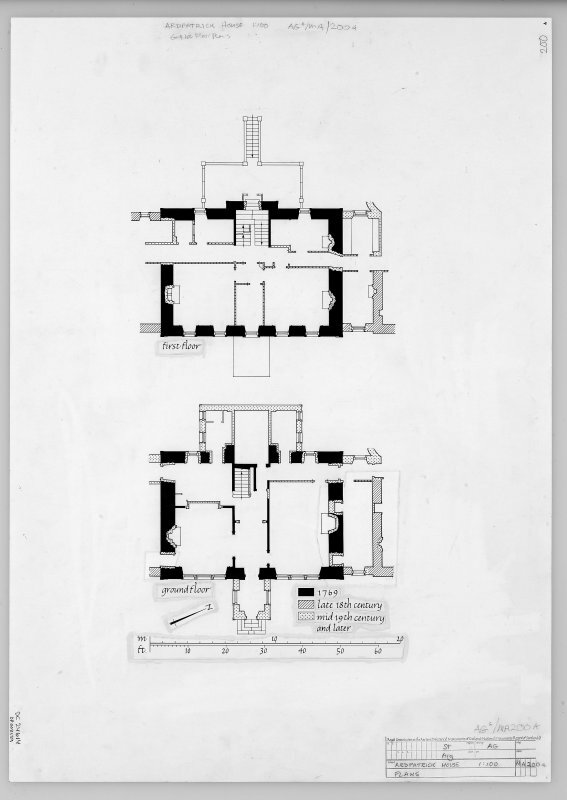 Ardpatrick House, interior. 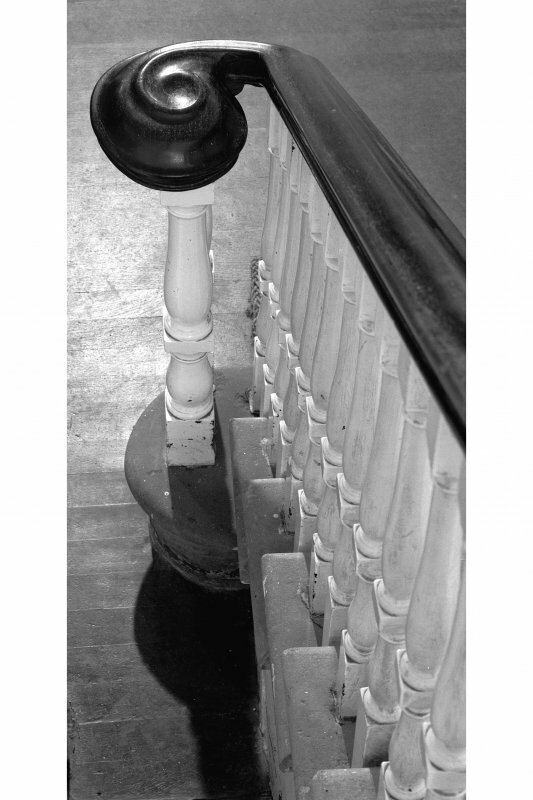 Detail of newel-post, from above. 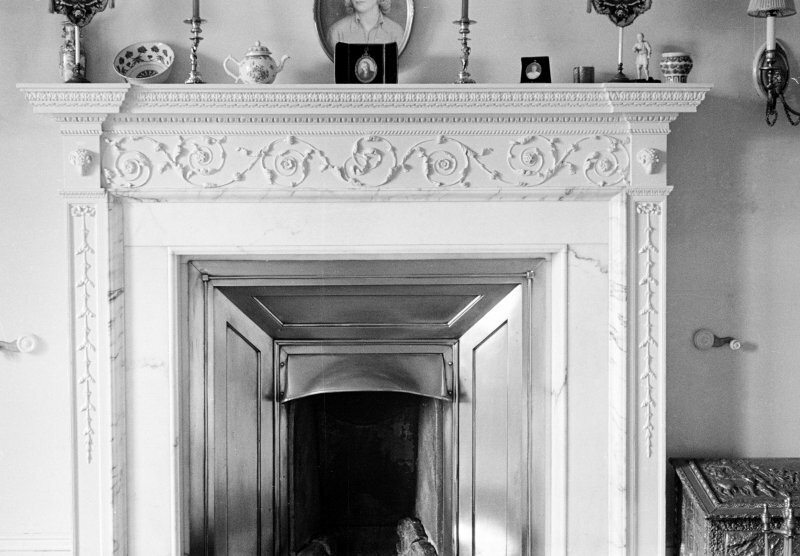 Ardpatrick House, interior. View of fireplace believed to date from 1769. 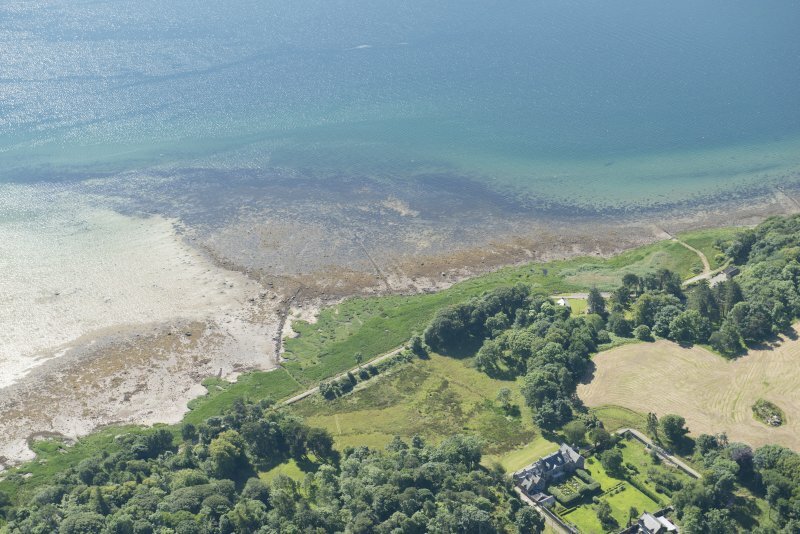 Oblique aerial view of Ardpatrick House, looking SW.
Ardpatrick House. View of garden front from West.